Vintage or trendy, find the top shopping markets and fashion events in Chicago each year. From The Magnificent Mile to neighborhood boutiques, Chicago is a very fashion forward city. Many shopping-related festivals and events, including the Renegade Craft Fair and Dose Market, can be found throughout the year. Find stylish clothing, antique knick-knacks, top quality vinyl, artisan crafts, and delicious treats at these indoor and/or outdoor shopping markets. 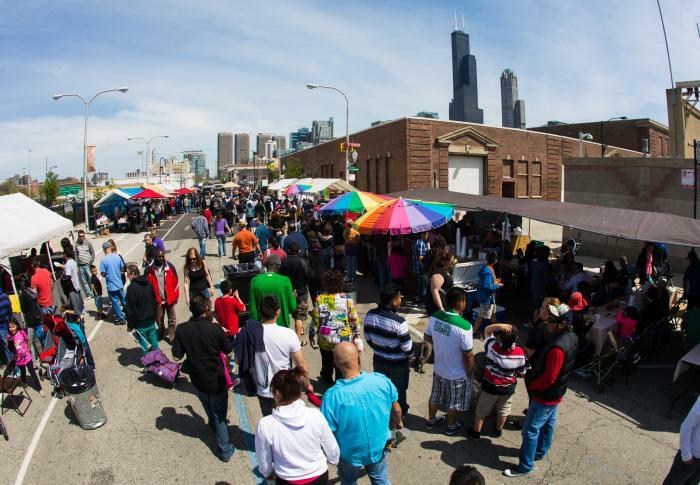 Find global goods, collectibles and international cuisine — think Mexican and Latin street food like tacos and elotes — outside along the stalls of Maxwell Street Market every Sunday from 7 a.m. to 3 p.m. Discover local music artists at the market&apos;s upcoming performances each week. 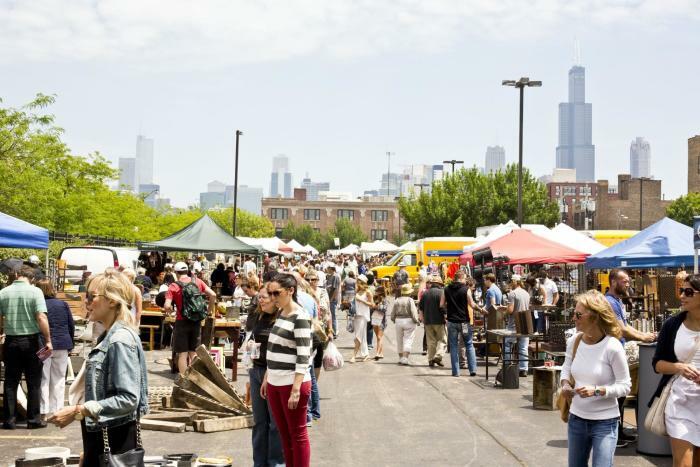 Venture through the monthly Randolph Street Market to discover all sorts of seasonal goodies. During the colder months, find the market conveniently located at the three-level Plumbers Hall to make room for the 75-90 vendors, here to satisfy your antique, modern and vintage desires. For warm weather, experience all eight acres of this European-style, urban antique market with over 200 vendors featuring vintage and antique novelties, exceptional décor, valuable vinyl and global treasures. Come for the shopping and stay for the eats, drinks, and live entertainment. This curated market features more than 100 artisans, peddling locally made food, clothes, home goods, and art in a chic industrial space. Check out the kids zone, attend a DIY class, and chat with small business owners about their one-of-a-kind products. Tickets are $8 in advance and $10 at the door; kids are free, and group tickets are available (four for $20 in advance). Sauced is a roving night market dedicated to emerging culinarians and artists — an evening of food, art, and entertainment. Sauced pops up from the underground once a month to make your nights more interesting. Get pumped for the best selection of vintage finds in Chicago! Search through midcentury modern steals, vintage clothing and jewelry, antique toys, valuable décor and furniture, unique artwork, and more. Explore the thrifty world of Vintage Garage Chicago for only $5 admission. Bonus: Each month there is a new theme to take part in, from Rockabilly Tiki to Retro! Division St. and Damen Ave. 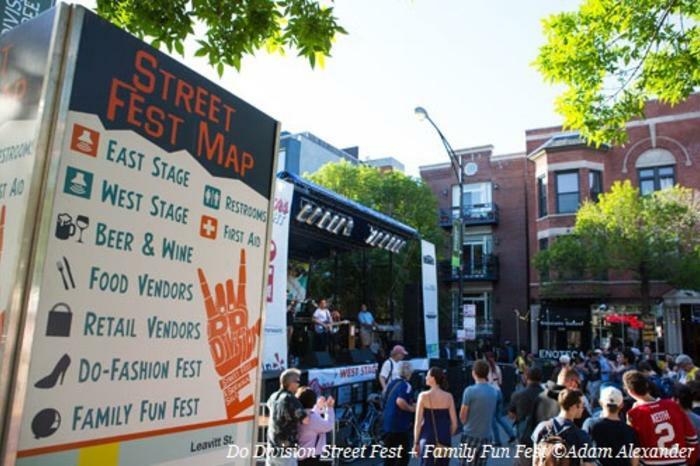 This fashion fest-within-a-fest is dedicated to the latest styles from West Town and the surrounding Chicago area. A who&apos;s who of local designers and merchandise, the highlight is the featured runway shows. Also throughout the weekend, Division Street&apos;s independently-owned boutiques, salons and shops pop-up on Division&apos;s extra wide sidewalks, giving way to 10 blocks of the best deals of the season for festival shoppers. Support the top independent makers and creators around from the DIY community. 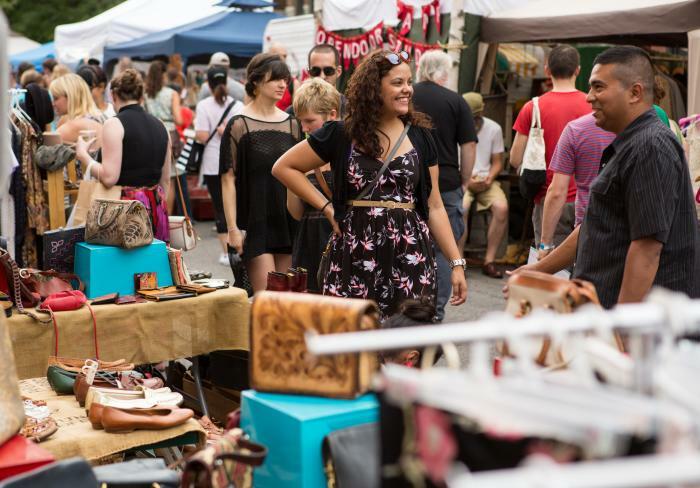 Renegade Craft Fair returns to Wicker Park each year for a jam-packed weekend of creativity. Along with shopping, guests can participate in DIY workshops and explore installations. Check out the Renegade Craft Fair website for occasional pop-up events as well, usually held before the Christmas holiday. The annual One of a Kind Show, Holiday Edition, is the perfect place to find unique holiday gifts for yourself and loved ones. For over 15 years, more than 600 talented artists from North America fill the massive Merchandise Mart halls with their handmade work, happily speaking one-on-one with shoppers to explain their craft and help them find just the right item. Enjoy artist demonstrations, fashion shows, and live music; gourmet cafés can be found throughout the show for refueling. Also regularly on the calendar is the spring edition of the One of a Kind Show & Sale, making for two times the opportunity to shop! Fröhliche Weihnachten! 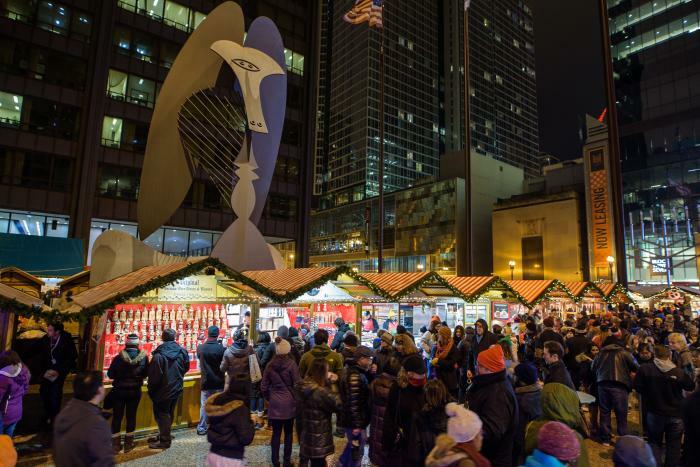 The Christkindlmarket is the largest open-air Christmas festival in Chicago. Collect traditional Christmas decorations, enjoy diverse holiday entertainment, and munch on delicious German treats at this highly anticipated festival. Celebrate this famous Chicago holiday extravaganza, now over 20 years running!